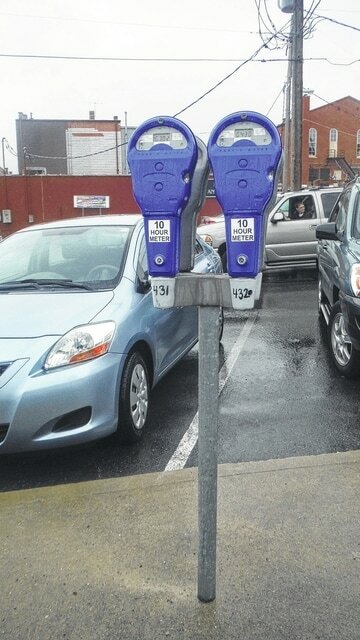 If you park regularly at Delaware’s downtown meters, you may have been reminded by parking control officers about the new fines that go into effect on July 8. • The overtime meter fine increases to $7 if paid by midnight; or $10, if paid after midnight. Currently those fines are $3 and $5, respectively. • The overtime non-metered two-hour space fine increases to $40 from the current $10. • Repeat violators will face more fines, and police may use a boot on a vehicle’s wheel to prevent it from moving. “The boot is for multiple offenses or multiple non-payment,” said Lee Yoakum, the city of Delaware’s community affairs coordinator. City officials say that 29 vehicles could have been booted in the past 12 months. A $100 fee, plus the cost of all outstanding parking tickets, will need to be paid to remove the boot. If the payment is not made within two hours, the city will tow the vehicle. Tampering with the boot will result in charges of criminal damaging or theft. Monthly parking permits cost $25, or $20 for the East William Street lot. They can be purchased from a parking control officer or at the police station. After months of debate and review, council unanimously passed the fine increase on June 8. The changes represent the first fine increase since 1991. The balance is meant for some people who continually abuse the short-term parking downtown. “The fact that we’re having this discussion and council’s taking action speaks to the vibrancy that’s taking place in and around our downtown, and that’s a good thing,” Yoakum said. For more information, call 740-203-1111.